I started using natural skincare about 8 years ago, which spiked my curiosity to look for cleaner brands to cater to my needs. Having a background in buying and sourcing meant I was drawn towards more unknown, smaller makers that were creating amazing products but did not have a home to house them in. This is where The Cure Apothecary started. We’re a natural and organic head-to-toe skincare boutique for him and her. I wanted to introduce new ingredients to the market with brands from New Zealand to Sweden, to the US and right here in Canada, as well as create a space that is truly natural and organic, from its fixtures to its product offering. Queen Street West is a very boutique-led community. Each boutique has its own story to tell where each store owner has created their own vision. We have opened our hearts to the community to share what we have created. Our community is full of interesting, savvy shoppers that enjoy the thrill of the find and buying something different, which allows each boutique to tell their own story. I was introduced to Vend by another retailer on Queen Street West. I was impressed by how accessible and easy Vend is to use. The Vend team truly blew my mind because of how helpful they were. They provided an amazing support team that gave me even more confidence in using the system. I’m always recommending Vend to people who are just starting off on their journey into retail or who are looking to change their POS system, and love sharing my experience of it with others. My passion comes from sustainability and taking care of our bodies. Many people are making big changes in what we consume – through food and drink – but our skin, being the biggest organ, is often neglected and we still use products that contain harmful ingredients. My aim is to educate people on using natural ingredients – things that we eat everyday but don’t realise that we can use them in our daily skincare too. Having my customers switch to natural products, and seeing them become more confident and comfortable in their own skin, feeds my passion every day. Honestly, my best advice is that if you stand by your vision and have true belief in yourself, you can be successful. I relied on my friends and family for support and still do. It is important to surround yourself with people that believe in you. For me, my best retail tale is not one specific story but it’s how I have created relationships with my customers. It’s having my customers feel comfortable and confident to open up to me, especially since skincare is such an intimate conversation. We have created a trust and a bond with our customers, where oftentimes they will also bring loved ones into our store to share in their experience – we love seeing the difference our products can make to people. 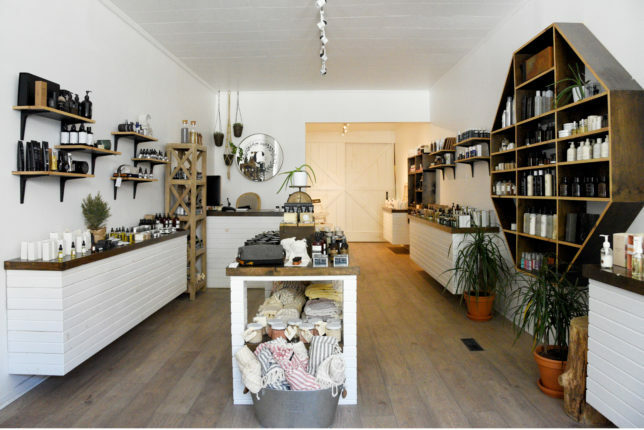 The post Vender of the Week: The Cure Apothecary appeared first on Vend Retail Blog.